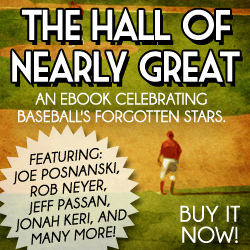 Hey local Red Sox fans... did you know that the Red Sox once selected a Canadian with their first round draft pick? And that now that he is retired, he is living right here in Alberta? 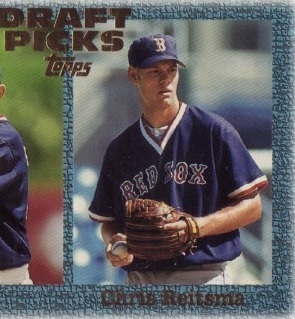 Of course I'm talking about the first Canadian ever drafted in the first round, Chris Reitsma, who was picked by our very own Red Sox. I wrote the following article on Calgarian Chris Reitsma, and it's been published on the Canadian Baseball Network. My interest in Reitsma, is not only that he's a major league ballplayer from the city I live in, but without his knowing it, he was a big part of my decision to move here. My employer had asked me to transfer from Toronto and I was reluctant to do so. Even though it would be a good step for my career, I'd have to leave all my family and friends behind. I was deeply conflicted. I used my analytical skills and made a detailed spreadsheet complete with weightings of different criteria. I added up all the pros and cons and it was as dead even as could be. My wife felt similarly. Lots of new opportunities if we moved, but it was a risk. She said it was up to me, and she'd support whichever decision I went with. The night before the decision was due, I didn't sleep well. I had a tough choice to make and still didn't know which was I was leaning. Then, on the train ride while commuting nto work, I was reading in the USA Today the results of the MLB draft, and noticed that the Red Sox had drafted a Calgarian with their first round pick. That was the sign I was looking for to help me make a decision. That day I committed to transferring out west, and have been here ever since.